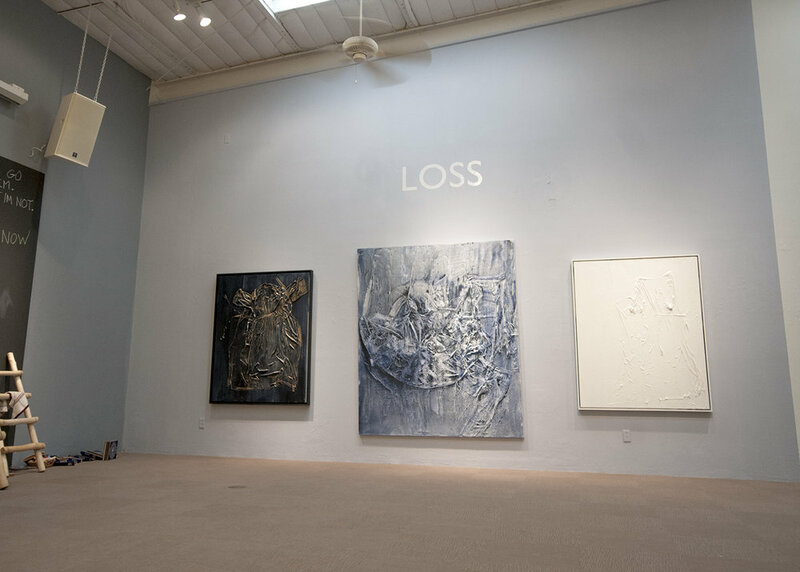 “Love, Loss and the Great In Between” at the Bareiss Gallery in Taos, New Mexico. Saltzman’s lush, abstract paintings are expressions of autobiographical subject matter, and the exhibition invites the audience to share in an immersive experience. To that end, visitors will be given the opportunity to climb up ladders and make their own marks on one of the exhibition’s three walls. They may make their own interpretation on love and loss and fill in the “between” of the exhibition’s expansive title. The artist will periodically invite visitors to read copies of the seminal work “Be Here Now” by Baba Ram Dass published in 1971, the same year that Saltzman began visiting Taos. Ram Dass visited the Lama foundation to speak on the political, spiritual and communal movement. Sharing the text is a gesture intended to activate a journey for exhibition visitors, a mirror of the journey that Saltzman has traveled and which culminates in work presented. The location of the exhibition was chosen because of Saltzman’s connection to Taos, the vastness of the landscape has infused the paintings as well. 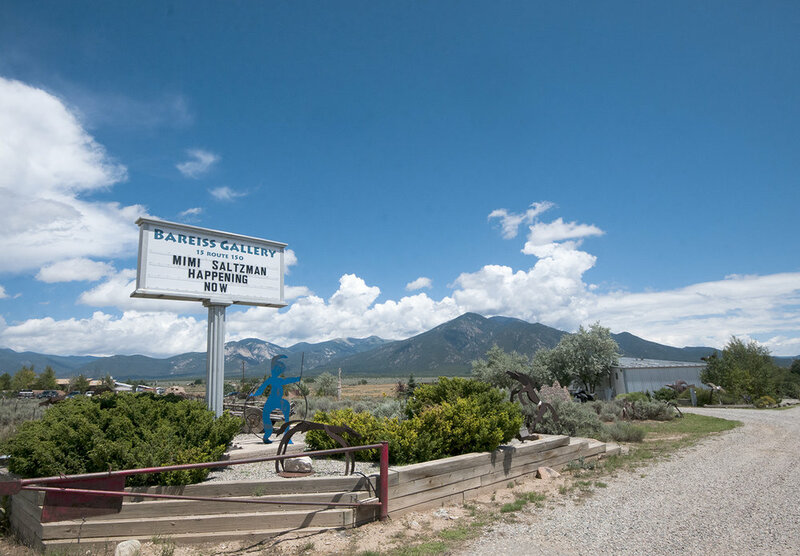 Taos holds an infinite spectrum of memories relating to the autobiographical subjects in the paintings, making “Love, Loss and the Great In Between” a fundamentally site-specific exhibition for Saltzman. From the birth of her autistic daughter Chloe in Taos in 1980, to the death of her husband Trond Myhr, she has repeatedly sought inspiration and refuge in the Taos artistic community, and returns to it now to share her gratitude and mark a new chapter. 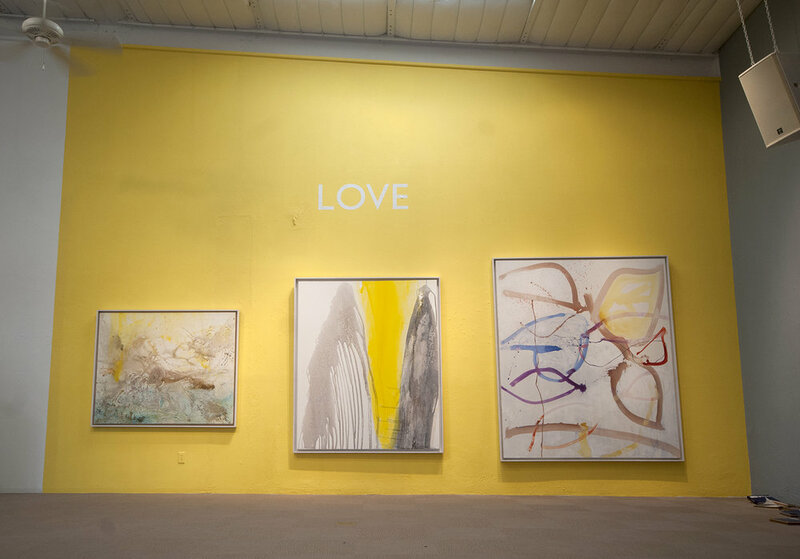 Apart from this exhibition, Saltzman will be exhibiting some major works at the Harwood Museum this summer, including a mixed-media painting comprised of her wedding dress, mounted to canvas and washed over with metallic paint. The artist describes the decision to display the dress from her 2005 marriage to Myhr as something "she had to do."